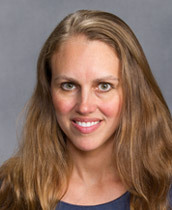 Dr. Ellen “Nelle” Nave is a Board Certified Family Physician. She joined the Pinnacle family in July of 2009 but has been practicing medicine since 2003. A native of Johnson City, she attended Sewanee College before attending ETSU Quillen College of Medicine. Dr. Nave has always had a passion for science, as biology was her favorite subject. Growing up with a science teacher and family physician as parents, she got to see first hand how much joy these areas could bring. Dr. Nave is happily married with a beautiful 18-month-old son. While baking, cooking, and hiking are high on her list of hobbies, one of her favorite activities is simply taking a walk with the family.